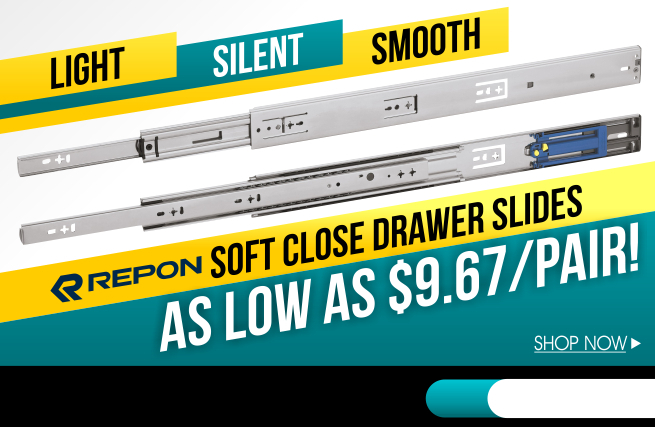 SoftClose.com - Soft Close Dampers And Hinges At The Lowest Price! We Have What You Need. Eliminate the sound of slamming cabinets and drawers. Transform your space with the same hardware used in designer homes. 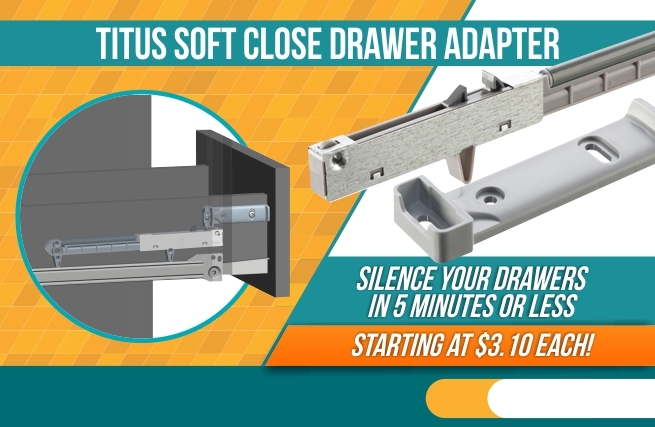 Reduce the wear and tear on your cabinetry and more! 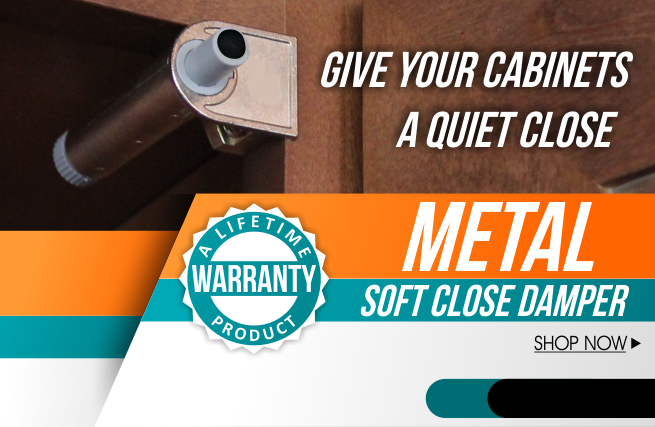 This soft close damper is truly one of a kind. It is the very first damper ever created using zinc die cast housing technology. What exactly does that mean? 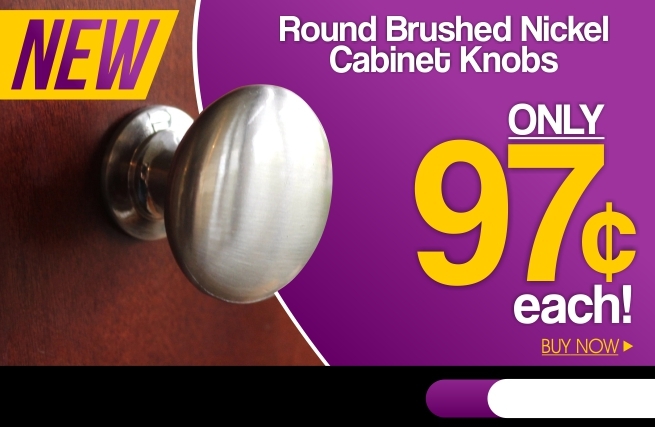 It means that it will not break over time and will have no problem preventing your cabinet doors from slamming! It’s a smart home improvement purchase that has been used to increase property value, while also giving your home a high-end designer feel. Whether you own or rent, you deserve to love where you live. 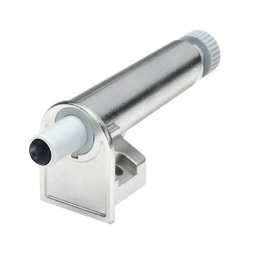 Made using zinc die cast housing technology - they were made to last! "I bought 20 of them and I could not be happier." "Quick and easy install. Very easy to adjust. So far they have held up extremely well. No complaints at all - we love them!" (1)$5.95 flat rate shipping price applies only to orders shipped within the United States. Shipping costs to all other countries will be calculated upon checkout.